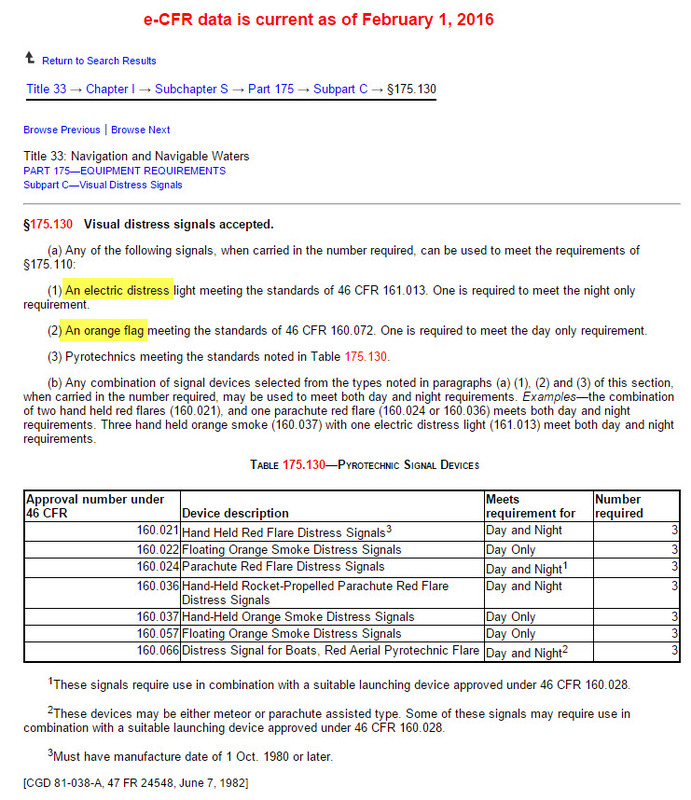 An electric distress light meeting the standards of 46 CFR 161.013. One is required to meet the night only requirement. An orange flag meeting the standards of 46 CFR 160.072. One is required to meet the day only requirement. See the SiriusSignal C-1001 LED Flare, and save yourself from buying flares and the trouble of disposing of expired flares. Just replace 3 C cell batteries every year.